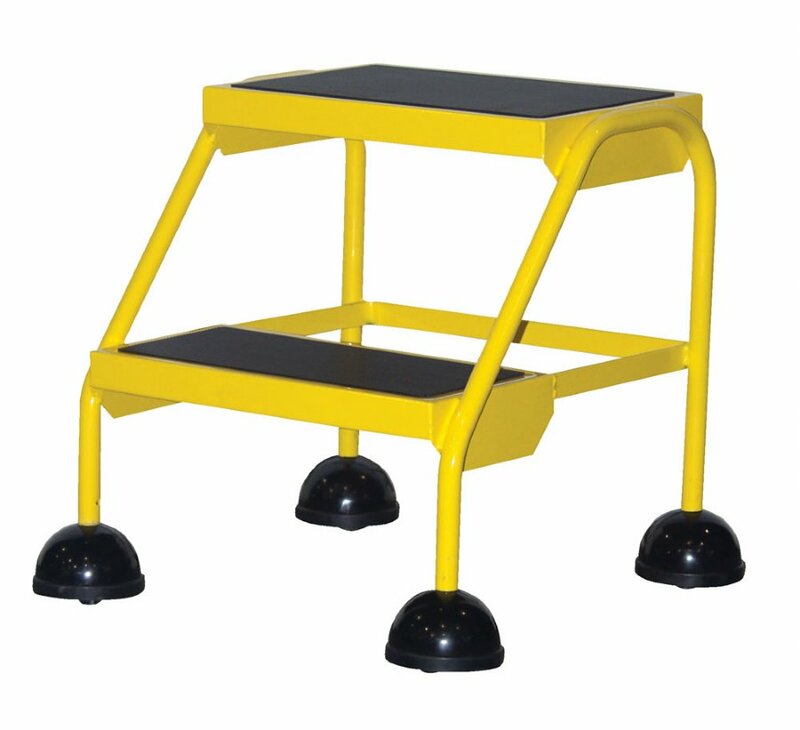 The 2 Step Commercial Spring Loaded Ladder with Yellow Powder Coat finish has a sleek design, also provides maximum safety and convenience. Commercial users of rolling ladders now have an attractive and economical alternative to the traditional warehouse rolling ladders. The all directional spring-loaded swivel casters feature steel dome protection and include rubber pad bottoms to minimize movement. This ladder has Perforated or Rubber steps. The powder coat finish provides a durable attractive appearance - available in Blue, White or Yellow.